In the ongoing onslaught of smart devices, one area that has been slower to develop is "clever clothing." That may be about to change. On January 1, tech giant Apple was granted an original design patent for "Fabric." First filed for in September 2016, the "Fabric" patent is a claim on an "ornamental design for a fabric," and shows a swatch of a ridged material in gray, dark gray, and white to represent contrasting appearances. Apple has filed for several patents in the last few years related to combining technology with fabric, but this is the first glimpse we’ve had at what that fabric might look like. To make fabric "smart" generally involves embedding components like "fiber optics, nanoelectronics, thermochromic dyes" into conductive or semi-conductive threads and yarns, according to TechStory.in. This means a smart fabric could do everything from sensing environmental changes and warning the wearer, to responding to pressure and touch. Apple’s other fabric-related patents have involved a jacket that sends tactile or audible signals to visually and hearing impaired users—so they can walk around without a cane or guide dog—and a force-sensing fabric with interwoven circuits that could be used in a glove to track a wearer's vital signs and control devices wirelessly. Of course, fabric is not just for clothes. A "fabric control device" patent deals with a material-covered Apple TV remote, which could show no interface until the user squeezes it, and might use different fabric textures for easier navigation in a dark room, according to Patently Apple. This patent also hints the fabric control technology could be integrated into other devices, including Apple’s MacBook laptop, iPad, Apple Watch, and even chairs, sofas, and airplanes. None of this technology is available yet, and it’s possible it never will be. 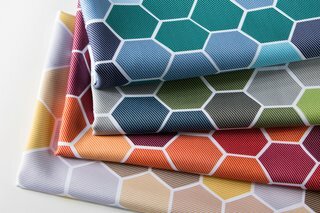 But smart fabric is a new frontier in technology companies' quest to connect every piece of ourselves and our homes.